We track millions of social media posts and use machine learning to determine sentiment of cryptocurrencies. 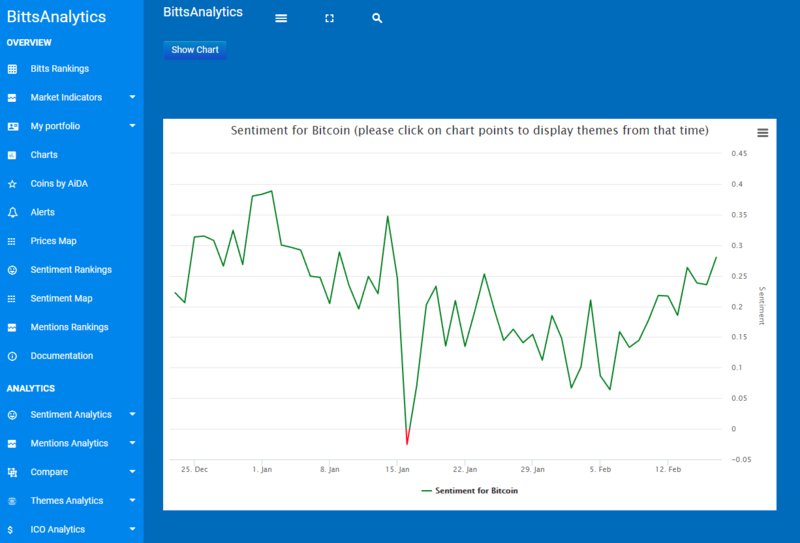 Bitcoin sentiment has been rising since 6th February and has yesterday on 17th February reached levels last seen on 14th January. Would not be surprised if the rally stops a bit and the price consolidates for a while.